Our lawyers have been recognized by our peers with an AV Preeminent rating through Martindale-Hubbell,* the highest rating for legal ability and ethics. At the law offices of Luxenberg Garbett Kelly George, P.C., we represent clients in New Castle and throughout western Pennsylvania in matters of personal injury law. Where other firms see clients as a case number, we take the time to see you as a friend and neighbor in our community. Whether you and your family are facing the pain and confusion of a motor vehicle accident, or matters related to medical malpractice or workers’ compensation, our team includes lawyers who are board-certified civil trial specialists** that understand your need for strong and practical legal solutions. Dedicated to ensuring you receive personalized care and attention, we offer free initial consultations to sit with you and hear your story. Many of our attorneys are born and raised in New Castle. 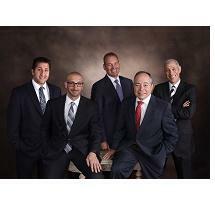 We are not just your legal counsel, we are your friends and neighbors. Furthermore, we know our community because we stay involved as members of local small-business organizations and youth mentors and coaches. If you or a loved one has been injured in a car accident or suffered a workplace injury, our attorneys will diligently investigate the circumstances of your case and help you pursue just compensation through a personal injury claim. Contact the law offices of Luxenberg Garbett Kelly George, P.C. We don’t represent case numbers; we defend our friends and neighbors. **Charles W. Garbett and Lawrence M. Kelly have been board certified as civil trial specialists by the National Board of Trial Advocacy, a Pennsylvania Supreme Court approved agency.